Here in the Evening & Weekend Berkeley MBA Program, we've helped students thrive in school and in their careers since 1972, all while they keep other elements of their lives in balance. But it's not just about how we support you (and we do), it's about how you grow stronger in the process, among other things, developing an astounding ability to prioritize. Becoming a time management rock star—just one way to find balance. For five more ways the Evening & Weekend MBA program at Berkeley-Haas can help, download our ebook Balancing Your MBA with Work & Life. His team had been involved in the most successful pharmaceutical launch of all time: the Hepatitus C drug Harvoni earned revenues of $14 billion in its first year of sale. But Jim became increasingly curious about later stages of the supply chain: How is a drug introduced into the marketplace? What is its long-term impact downstream? How will it benefit mankind? In a new role as senior manager of the Liver Disease Project, Jim moved from working on a single drug to managing the entire Hepatitis C and liver fibrosis portfolios. And still he wondered what lay beyond the parameters of his specific job title. 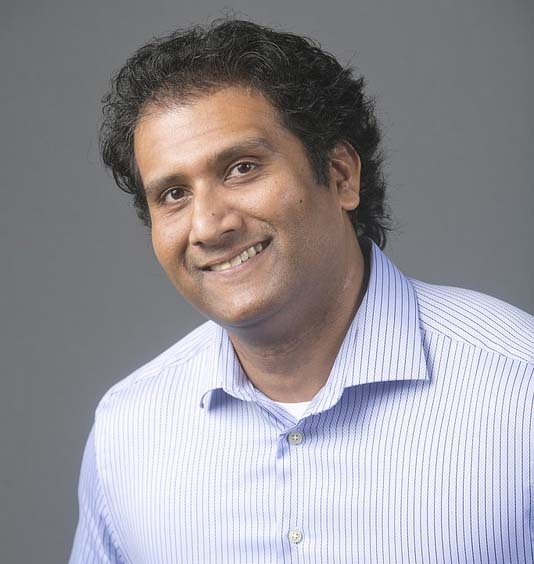 “I was interested in in thinking more deeply about business problems,” he remembers, “but pharma is not renowned for people development.” So he began considering an MBA as a path to more meaningful work. 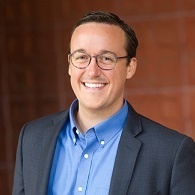 During his three years in the EWMBA program, Jim made two more moves within Gilead – first to associate director of the Liver Disease Project and Portfolio Management and more recently to associate director of Commercial Planning for Liver Disease. His new degree prepared him to take on increased responsibilities for analyzing, forecasting, and decision-making. “Building on my basic science background, my new skills allow me to tie that into a financial model and put some hard numbers next to what a project could be worth,” he says. With each internal move he’s made, Jim has found deeper satisfaction in the broader perspective he’s achieved on pharmaceutical development, from the raw science to its impact on patients, their families, and doctors. He credits his own iterative process with helping to determine what “more meaningful work” looks like, reflecting on his own values and motivations. Are you considering a career move for more meaningful work? Get our five steps. 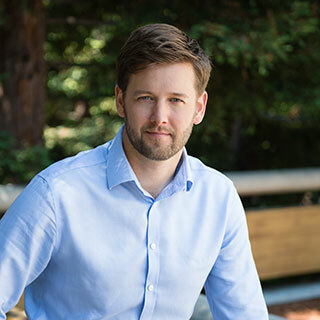 Zen chose Berkeley-Haas in part for its accelerated part-time MBA option, but it turned out that what prompted him to choose Haas isn't what kept him here. 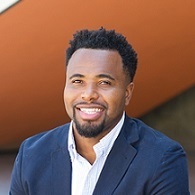 "The strong cohort community made me want to extend my time at Haas," he says. "I realized I didn't want to come in, do my thing, and get out. I wanted to continue building strong relationships." Zen also pivoted to a 3-year plan to make a career change to venture capital. 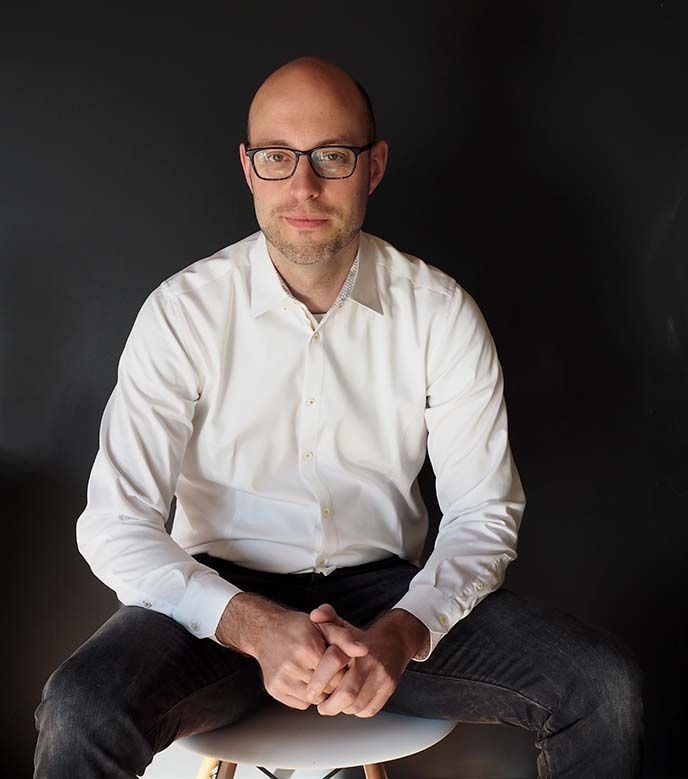 "I sold my startup company, and my goal was to become a VC partner in 5 years," he says, "and many current VCs advised that I stay at Haas longer and work for a startup in the meantime, using the extra time to experiment with different roles, like product management and business development." The extra time Zen gave himself led to an exploration of management consulting and search funds, which help entrepreneurs raise funds through private equity investments, and which aligned with his previous background as a startup owner. “The extra time at Haas allows you to explore options, take time to figure out what fits, and prolong that valuable time with a growing network. Zen advises other students who are asking themselves if they should choose an accelerated MBA option to determine what they really want out of their time in the program. How long does it take to get a part-time MBA? "Ask yourself, 'Is this just to move up a little bit in my career?' Perhaps this is the time to make a really transformative move," says Zen. "Consider this as a time to reboot your life.'" The Evening & Weekend Berkeley MBA Program is designed as a full student experience on a part-time schedule. We want to propel your career forward while giving you the flexibility to integrate school into your day-to-day life. How can you do it? We’re so glad you asked. From choosing a schedule that suits you and enjoying the support of peers, professors, and the program office to integrating your job and school right from the start, there are achievable ways to balance an MBA with work and life—and you'll find them in our free ebook, Balancing Your MBA with Work & Life. If you’ve been considering an MBA, let us help you find your balance and take the next step with confidence. Back and forth she went, weighing her options. When is the best time to get an MBA? If she pursued an MBA, what would be sacrificed? A full time job and a passion for dragon boating played an important part in her life. If she pursued an MBA, what would be sacrificed? 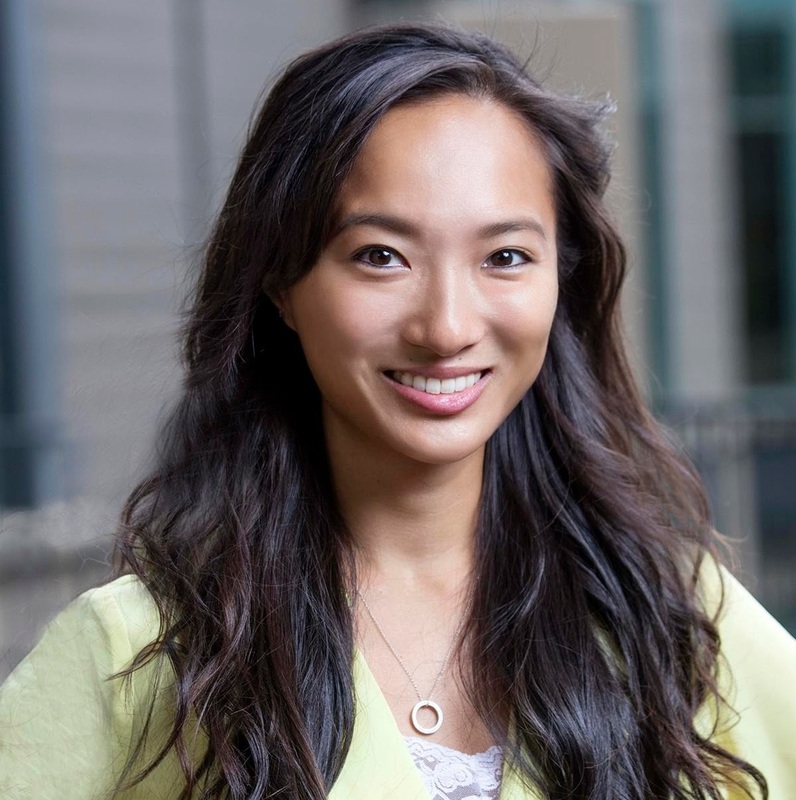 “I considered an MBA for a year or so, but knew I’d need to taper off of competitive dragon boating to do so, so I put applying on the back burner,” says Christine Jiang. Christine had worked at PG&E in finance, but then transitioned into a program management role. That’s when she decided a part time MBA would be best; balancing an MBA with work might work for her. How could you work while pursuing your MBA? 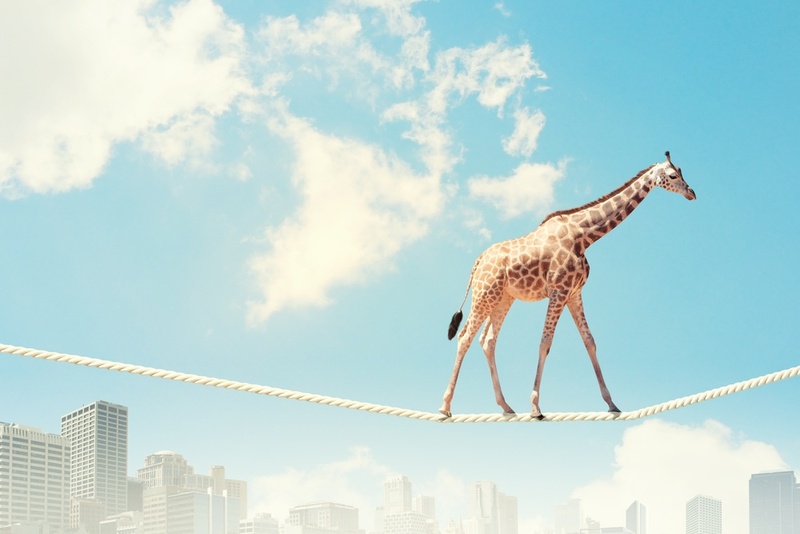 Get our free ebook onBalancing Your MBA with Work & Life to find out. Hoping to balance it all, Christine made the leap to pursue her degree in the Evening & Weekend MBA Program at Berkeley-Haas. The combination of reputation and flexibility were key to her decision. Dragon boat racing is a team sport from ancient China. Today it an international sport with competitive teams here in the Bay Area. Christine practiced dragon boating 3/4ths of the year, 3 times a week, with workouts in between. She was also the co-captain of the PG&E dragon boat team in the novice division. Trading dragon boating for an MBA and her new position at work was a sacrifice she was willing to make. Yet balancing everything was still a hope. A hope that Berkeley-Haas helped nurture. “During orientation, fun facts about people in the entering class are shared and it was mentioned that I was a captain on the PG&E dragon boat team—almost immediately people began asking me about the sport,” Christine shares. That got her thinking. If she started a team, she could continue dragon boating, and it would be a way to network and team build. She went to work building her team. Her hope was becoming a reality. 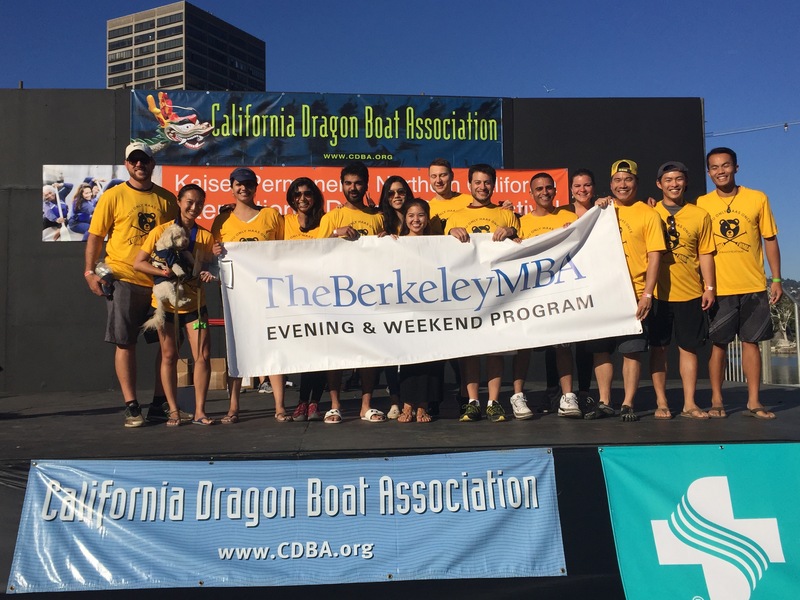 The Haas EWMBA dragon boat team, YOHO (You Only Haas Once) Dragonboathaas (pictured above), made their debut at the Northern California International Dragon Boat race in September 2016 and placed first in their division. Christine was thrilled. It looked like she would be able not only to earn an MBA while working, but to pursue— and share—her passion . Along with dragon boating, she was able to run for officer positions at other clubs on campus and discover new passions. In turn making her more likely to try something new. “The big thing is that now when someone says let’s go do this, I barely think twice. If my schedule allows and I'm interested, I say yes,” says Christine. She saw an opportunity to merge her life with her education, and she took it. Christine chose the Berkeley Evening and Weekend MBA program because at Haas, we support the balance of life and business higher education. She saw an opportunity to merge her life with her education and she took it. How could you balance your education with your passion? Find out with our new ebook. The Graduate Management Admission Council reports that nearly 30 percent of people take the GMAT two times or more, and the Educational Testing Service reports that approximately one in four people take the GRE more than once. In both cases, individuals who take the test twice usually score higher the second time around. Does the Berkeley MBA Have a Minimum Required GMAT Score? Berkeley MBA Programs have no minimum required GMAT or GRE score, but our admissions committees do suggest trying to get the best score you can, based on the mean and median scores for programs in which you’re interested. "We don’t have a minimum score, but we do suggest an applicant shoot for the 600 range on the GMAT in order to be competitive for the program," says Susan Petty, director of admissions for the Berkeley MBA for Executives Program. "That's not to say that we won't take people under 600; it just depends on the strength of the rest of their application." 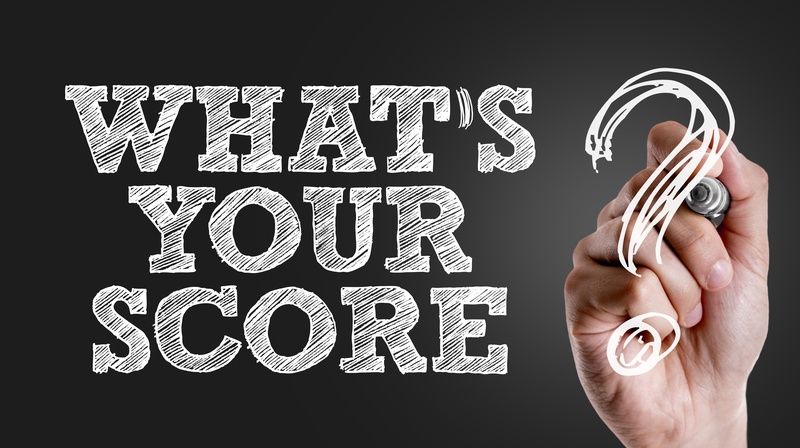 If you don’t hit your particular target on the first try, Susan recommends retaking the GMAT or GRE. Doing so can make you look good as an applicant because it shows commitment and a dedication to studying that can bode well for success in the program. "We’ll often encourage people, especially those who have been away from standardized tests for a long time, to retake the exam. Taking it the first time is almost a refresh. We find that if they take it again, they can often do a lot better," says Susan. "In some cases, when we see a lot of strength in the rest of application, and the standardized test score is an area that is not that competitive, we'll actually reach out to applicants and ask them if they're willing to retake the exam." Candice Knoll, a student in the Evening & Weekend Berkeley MBA Program and co-president of the EWMBA Student Association, had a good score on the GMAT the first time around, but she wanted to strengthen her application even further, so she decided to retake the test. She recommends that other applicants do the same. "Students should take it again if they have the chance. It doesn't hurt you. If you take it again, and don't get a better score, you can cancel that score," says Candice. Test prep…and more test prep can also help you get back into school mode by sharpening your critical thinking and study skills so that you are more prepared for business school. Whether you're asking yourself, "Should I retake the GMAT?" or getting ready to test your skills for the first time, our free ebook can help. 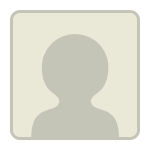 FROM The Berkeley EWMBA Blog: Should I Retake the GMAT? Shanna Wagnor was ambitious. She worked at Salesforce, she exercised daily and she liked to spend time with friends. How could she fit an MBA into her busy life without the sacrifice? Full-time MBA studies weren't an option. She had bills to pay. Part-time—now that could work, she realized. Shanna did her homework. “I did a lot of research. I met with as many people as I could. I went to the Berkeley-Haas Women’s Dinner in SF. I met Courtney Chandler (then program Dean) who gave me advice,” remembers Shanna. And that’s what it took. 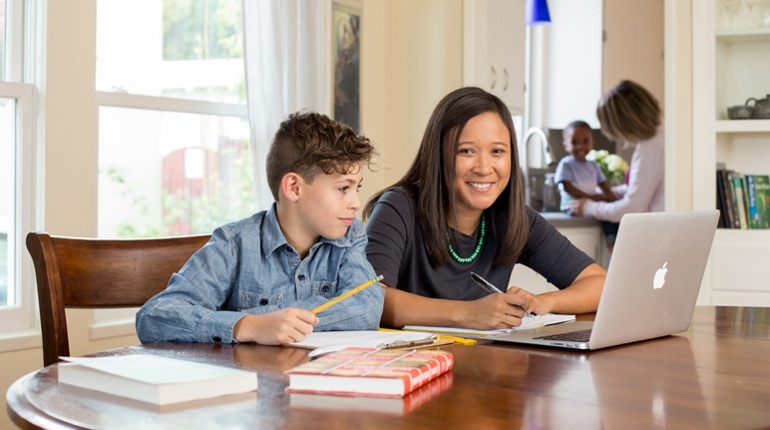 Confident that balancing an MBA with work and life could happen, Shanna applied to the Evening & Weekend Berkeley MBA Program, to get ahead and keep her job in the process. 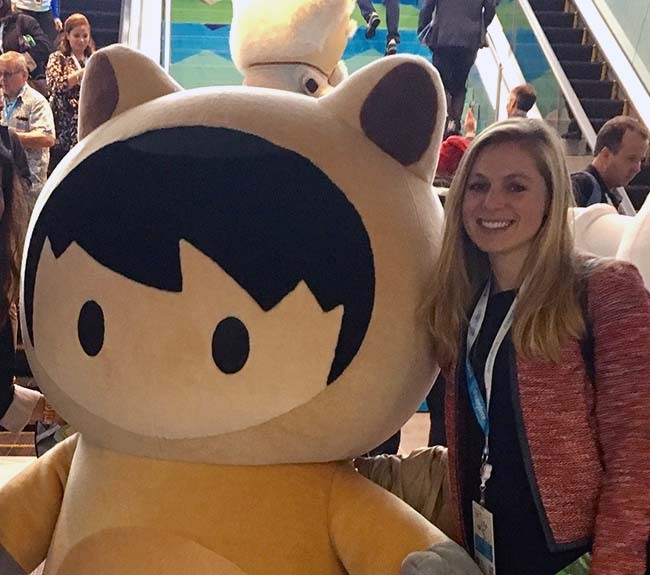 The biggest event of the year for Salesforce, is Dreamforce., the annual 4-day long event for customers and potential customers. It takes a whole year to plan. The week of the show, Shanna works 12 hour days. From morning to night, there are presentations, meetings, events, roundtables, parties, and more parties. And for Shanna, this time there was school. “That week I had to miss Wed-Friday classes and, to be honest, though I went to class the week before, I was distracted… just trying to keep both things moving,” says Shanna. Lucky for her, early communication paid off. She told her professors about the event in advance, and they understood. She also traveled a lot, and had to work late at times. But working with her professors she was able to balance her career and school. “As long as you stay on top of the communication and ensure it’s open and early, the staff and the professors can be incredibly accommodating and understanding,” remembers Shanna. Balancing a demanding career and an MBA was challenging for Shanna. But not so challenging that she couldn’t also find time to plan her wedding the last year of the program. “I just got married this past summer, so also had to plan my wedding during my EWMBA,” she says. If you talk to Shanna now, she’ll tell you. Every minute counts. There have been a lot of advantages to her MBA professionally but the biggest lesson learned is this: use every minute. Work, workout, meet with friends, even plan a wedding. 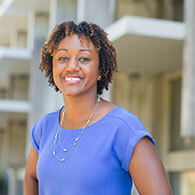 After the prompting of a mentor, Shanna chose the Berkeley Evening and Weekend MBA program. At Haas we support the balance of a demanding career and business higher education. She saw a chance to get ahead and keep working and she took it. ...How will you balance your career and education? Find out today. Ultimately, having that option played a big role in his choosing of the Evening & Weekend Berkeley MBA Program. “I knew I wanted to complete a program in as little as 2.5 years,” he says. 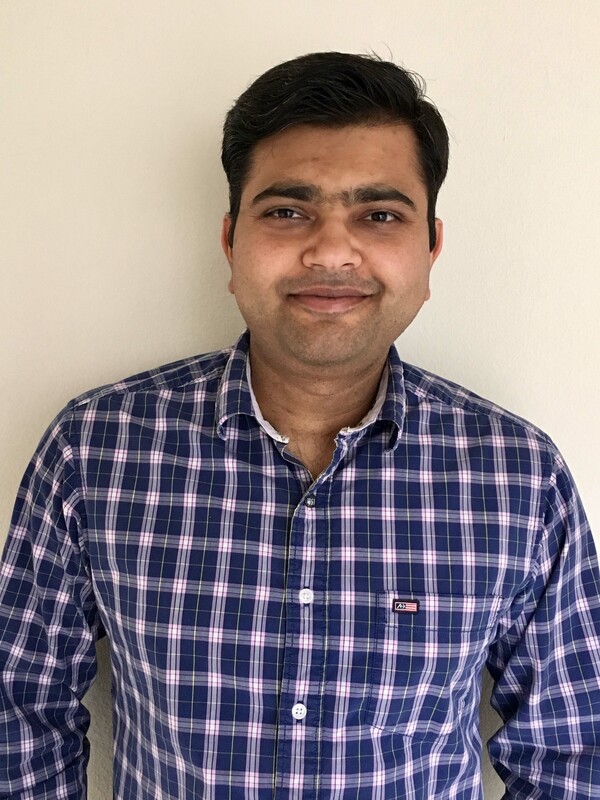 For Nikhil, a Technical Marketing Engineer at Rohde & Schwarz, the decision was a matter of personal productivity. "The way I normally function, I like to start and finish a project without taking breaks. This way, I remain focused.." Knowing his best style allowed Nikhil to tap into the benefits he truly wanted from the program: from working with his fellow students in the classroom to gaining skills and knowledge he could apply in the real world. Of course, there was also the benefit of saving a bit of time. "I saved time with the 2.5-year plan…and I could more quickly apply all that I've learned." Most notably, Nikhil didn't feel his accelerated pace sacrificed the social aspect at Haas at all—a concern students may have about cutting their time short. "I also built a lot of relationships," he says, "and that's key to any business school experience." Nikhil advises prospective students to explore which timeline best aligns with their goals in the long run and execute that plan. 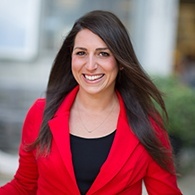 "For me, I entered the Berkeley MBA Program with the goal to finish in 2.5 years. I always knew I wanted to do this." Want to learn more about an accelerated part-time MBA option available through the Evening & Weekend Berkeley MBA Program? Request a personal consultation. Guiding a company's sustainability efforts? Helping nonprofits and the public sector become more effective or serving on a nonprofit board? Engaging in socially responsible investing? Could an MBA help you make the the difference you want to make? 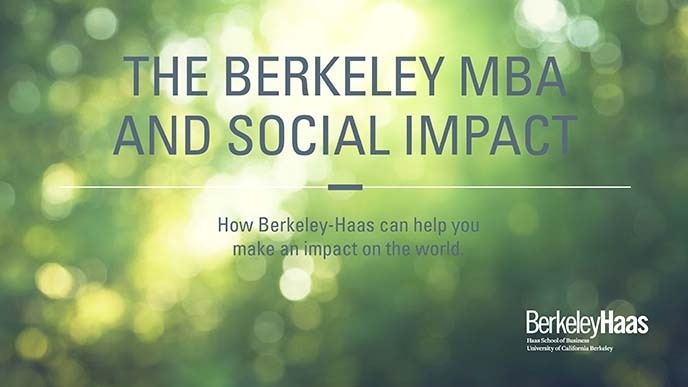 Get our free ebook to take a closer look at social impact opportunities at Berkeley-Haas. Swetha Tupelly is about to celebrate her first year as a product manager at ServiceMax, a SaaS division of GE Digital. The new position is a big leap from her previous role as a technical lead and engineer at Qualcomm. She worked at the San Diego semiconductor firm for eight years building connectivity in consumer devices. The key tool to making that leap: A Berkeley MBA in the Evening & Weekend Program. “I wanted to be more outwardly focused, to define how the product is designed according to the market,” she remembers. “I was still at the back end of things, not making the big calls.” She began to investigate the role of product manager, with its combination of leadership, business acumen, and technical expertise and to explore different paths toward a product management role. Can an MBA help you switch industries as well as positions? Why business school? “Many people said I didn’t need an MBA,” Swetha says, “but in the end I decided it would be very helpful. It would be a way of differentiating myself, opening some doors, and competing with those who had more PM experience.” She also wanted to move from the semiconductor industry to software, where she felt the opportunities would be greater. She researched business schools’ recruiting resources, career services, and professional support to see if they would make such a transition possible. Once she decided to pursue an MBA, however, there were a few obstacles. She evaluated full-time programs, but that option would mean postponing the family she and her husband wanted to start. “I also didn’t want to begin school and then have a baby right after taking a new job,” she says. 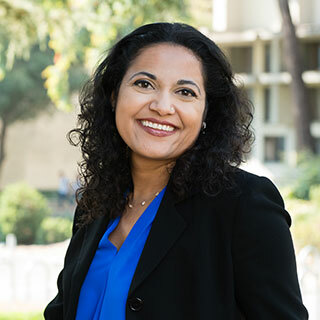 “After I had my daughter, it became clear that a part-time MBA program would be a better fit.” Swetha already knew she wanted to attend a branded school like Berkeley-Haas, but she lived in Southern California. By then she also had an 18-month-old baby. She negotiated with her employer to transfer both her and her husband – who also worked for Qualcomm – to the San Jose office. The Evening & Weekend Berkeley MBA curriculum taught Swetha about skills and functions she had been previously unaware of, including sales channel strategies, business model innovations, effective negotiations, and more. “A lot of industry professionals came and spoke, offering so many new perspectives that we could apply to different industries,” she says. 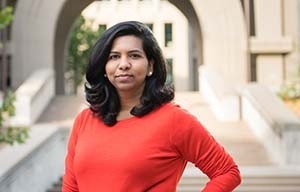 She found her marketing analytics course especially helpful: it offered new insights on how to build a business case for analytics, how to think about data, and technical knowledge – from machine-learning algorithms to enterprise software. Swetha Tupelly decided a career switch to product management was right for her. Are you considering a career switch? Get our five steps toward making your next career move. so no uc schools allows affirmative action correct?